Place a heavy soup pot on a high flame and heat it up. Add the Olive Oil and swirl it around so that the entire surface of the pot is coated. Add the onion, carrot, celery, garlic, oregano, thyme, bay leaves and kosher salt. Sweat the vegetables until they are translucent but not brown. Add the tomatoes and their liquid along with the vegetable stock and bring to a boil. Lower heat to a simmer and allow to cook slowly for about 45 minutes. When the soup has finished cooking, stir in half the chopped basil. Taste for seasoning and add salt if necessary. Allow the soup to stand for about 15 minutes to cool before pureeing. Puree the soup a little bit at a time either in a blender or a food processor being very careful not to fill the blender jar or the food processor full because the soup is hot and steam builds up. After each blending pour the soup into another pot until all is blended and in one pot. 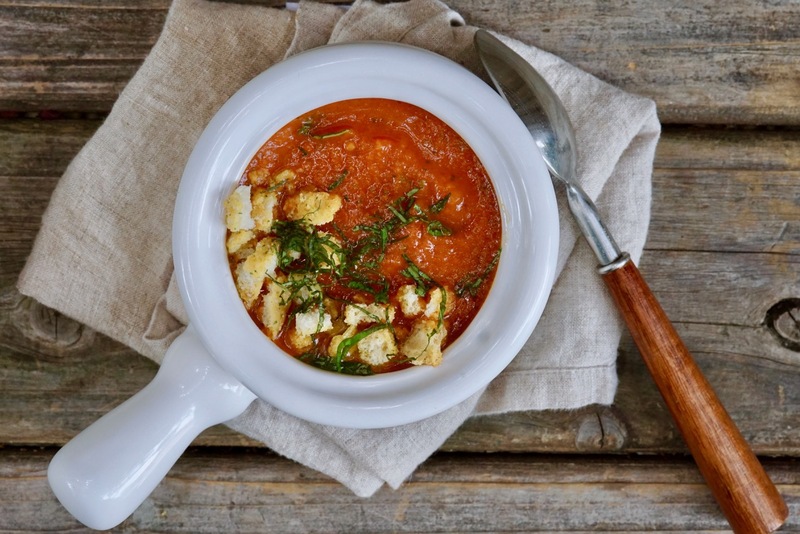 If you have an immersion blender, pureeing the soup will be much easier. An immersion blender allows you to puree the soup all at once without taking it out of the pot. On top of each serving sprinkle a little of the chopped basil. 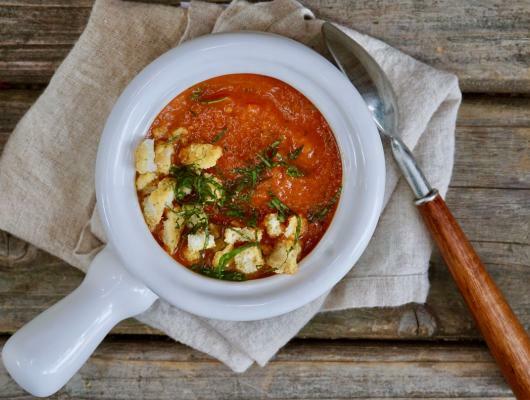 An easy, healthy tomato-basil soup adults and kids will love.